Sometimes animals come into rescue and, for various reasons, may not be good candidates for adoption to the general public. They may have health or behaviour issues. Just like with humans, some animals are more challenging than others, but they are equally as deserving of love, care, and respect. We do not want to give up on them. 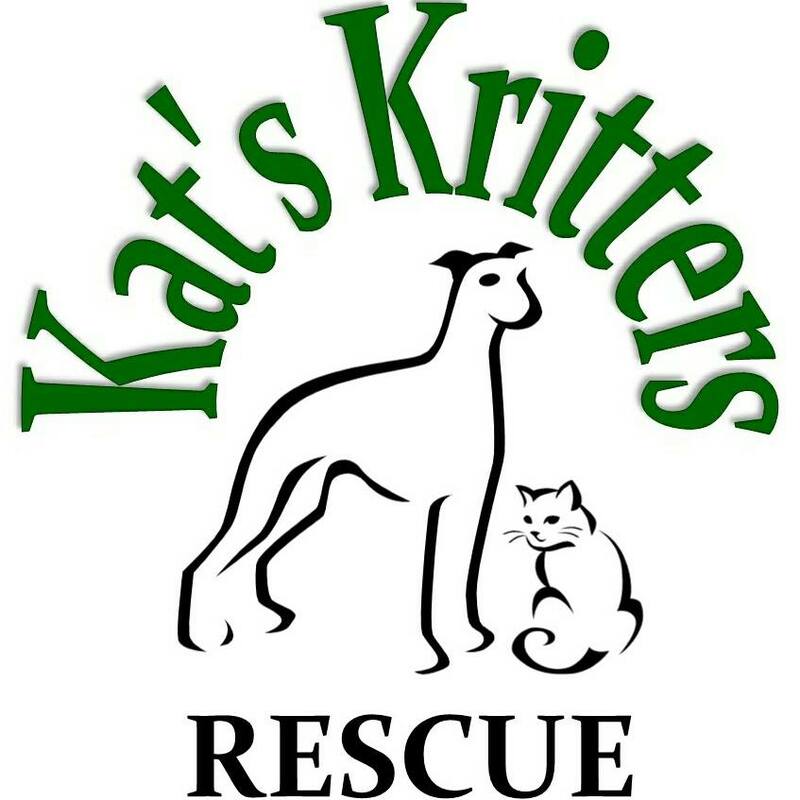 When possible, Kat’s Kritters Rescue will offer permanent sanctuary to unadoptable animals in our care, meaning we will take responsibility for their care either here at the main rescue location, or in a permanent foster situation, for the duration of their lives. SOME of these Kritters will be considered for adoption in very specific situations and to adopters with the required experience to handle them. The following Kritters currently are in permanent care of the rescue. Our Sanctuary Kritters still need your help! Please consider sponsoring or donating towards their care! Rocky came to KKR in late 2014. He was transferred in from a shelter due to being unadoptable and not doing well in the shelter environment. 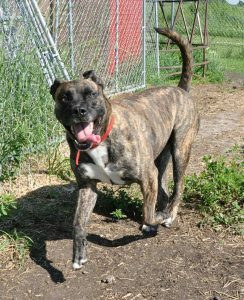 Rocky was abused at his original home and as a result has developed some issues, especially with men. While Rocky has come far during his time at KKR, his reactivity and anxiety in new situations and when meeting new people has been hard for him to overcome. Unfortunately, many people are attracted to Rocky’s size and look and seem uninterested in putting in the work and using the caution that would be required to keep Rocky, and any people, safe. In order to ensure Rocky does not get set up to fail, it has been decided that he will remain a permanent ward of KKR, unless that perfect situation ever arises for him in the future where he can be homed to an experienced, committed owner. These kitties were all either long-term residents that had not been able to find an adoptive home, or they are feral/semi-feral/unsocialized and were not doing well in the shelter environment. 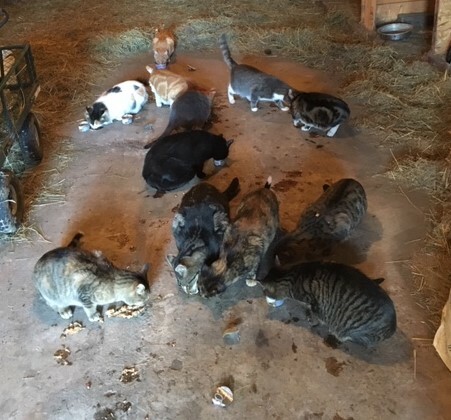 In 2018, this beautiful group of cats were moved to a permanent foster situation, together, where they are doing great! These cats deserved a chance at life, and we are grateful to their foster for opening up their home/property to care for these cats and give them a chance to thrive! 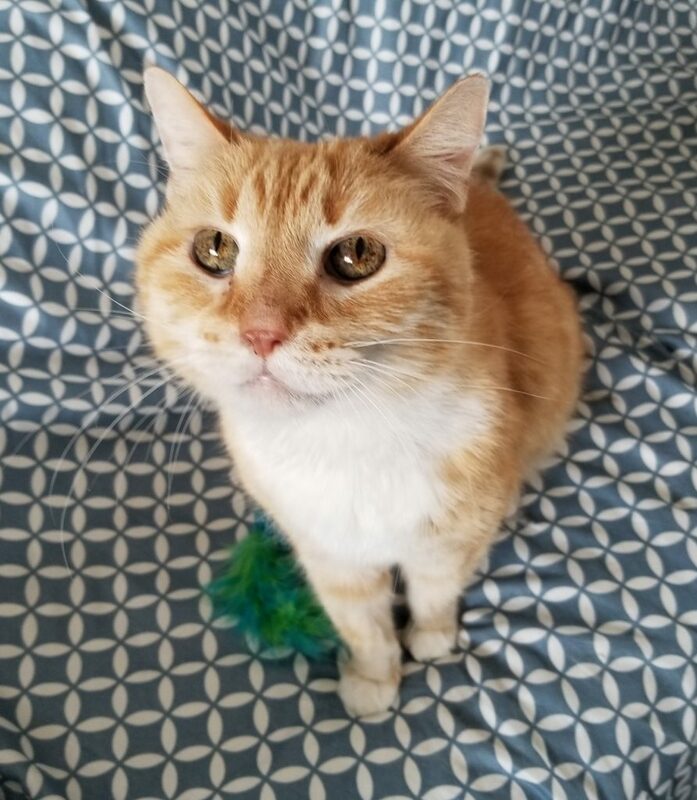 Boots is a senior, front paw declawed kitty that will retire here at the rescue, where he will be safe and receiving quality care. His lifelong owner passed away and Boots moved in with a family member. Unfortunately, he didn’t handle the transition well, and the family member scheduled him for euthanasia. The vet clinic recognized that Boots still had lots of life left, and contacted the rescue in hopes we would be able to help. Boots came into rescue thin and with a large mass on his chest. He also desperately needed a dental. He has some discomfort from the amputation (declaw). It took some time (a few months) for Boots to start eating regularly and maintaining his weight, but he has finally settled in and is doing well. He is a friendly, sweet old boy. Rather than put Boots through yet another transition at this stage of his life, it was decided that he will remain at the rescue permanently.